We are engaged in offering genuine quality Chrome Plated Pins to the customers, as per their specific needs. 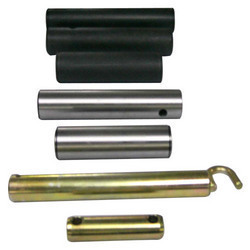 The entire range of Chrome Plated Pins is designed and manufactured by a team of highly skilled professionals. In addition to this, we can customize these products as per the exact details provided by the clients. 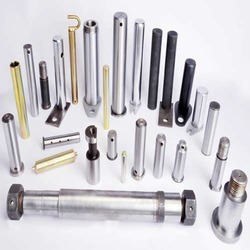 The superior quality range of Metal Plated Pins also called Case Carburised Pins is offered to the customers at industry leading prices. We understand exact requirements of different industries & sectors and design the products accordingly. In addition to this, the entire range is thoroughly checked at our end on certain well-defined parameters. Looking for Chrome Plated Pins ?